It comes as no surprise to hear about the prices that were established at Sotheby’s diamond and jewelry auction in Hong Kong yesterday. For some time now, the Asia market has been well established for a significant demand of high quality fancy color diamonds. This was proven when several world records were broken, some of them very important – like highest ever price paid for a diamond. The 3.13 carat Fancy Intense Blue diamond with a very rare Internally Flawless clarity grade has broken a record for Fancy Intense Blue diamonds. The magnificent blue diamond has sold for a record price of $4,790,858 total, or $1.53 million per carat. 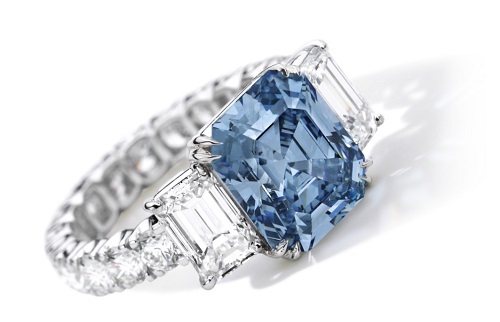 It broke the record for price paid for a Fancy Intense Blue diamond under 5 carats. The previous record was held by the 1.74 carat Fancy Intense Blue round shaped diamond, which was sold back on December 10, 2015 for $1.1 million per carat. It took 16 months for the price to increase by 39%. That is an excellent return on value. If we look at prices paid for Fancy Intense Blue diamonds in the 3-5 carat category, the previous record before the one set in 2015 was set on November 11, 2014. 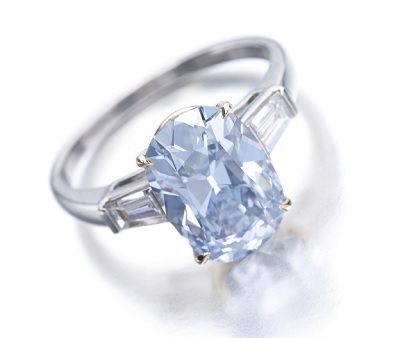 A 3.16 carat Fancy Intense Blue diamond with a VS1 clarity was sold for $1.01 million per carat. Our 3.13 carat sold with an over 51% price increase valuation in this case. The 59.60 carat, Fancy Vivid Pink Diamond named the “Pink Star” has finally sold at auction again, and broken a world record in the process. It became the most expensive diamond ever to be sold at auction. It took 5 minutes and 3 bidders to end the race, and it finally sold for $71.2 million total, or just under $1.2 million per carat. Although it broke the record, it is still a bargain price for such a diamond. It is the largest pink diamond in the world. As is well known by now, its previous buyer defaulted in 2013 when he could not pay the then-final sale price of $83 million. The winner and buyer of the Pink Star diamond is none other than Chow Tai Fook, the largest jewelry company in the world. The Pink Star has been renamed the “CTF Pink Star”, and was acquired in honor of the founder of Chow Tai Fook who passed away several months ago, as well as in honor of the 88th anniversary of the chain store. You can rest assured that Chow Tai Fook will not default on the payment. Just last year, Chow Tai Fook also acquired the largest and most famous Fancy Vivid Green diamond in the world, “The Aurora Green”. It also broke a world record when it was sold for over $3.3 million per carat. 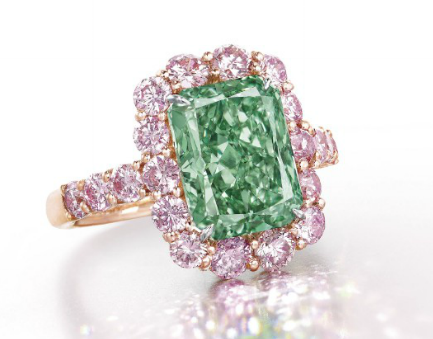 Perhaps Chow Tai Fook is attempting to collect the largest vivid diamonds of each color? Only time will tell. 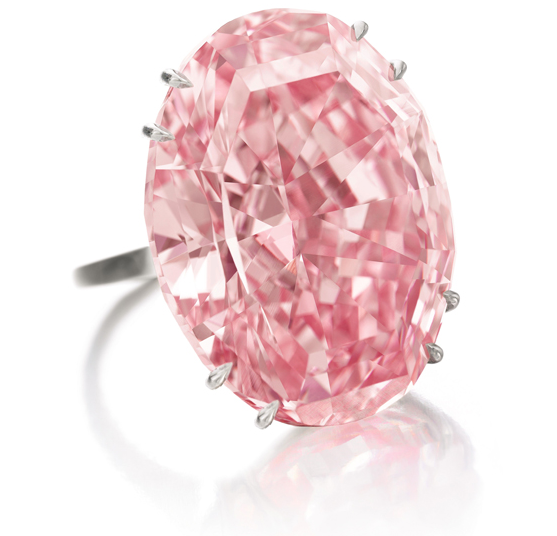 The record price per carat ever paid for a Fancy Vivid Pink diamond over 10 carats in size remains at over $2 million per carat paid for the Unique Pink when it was sold by Sotheby’s in May of 2016 in Geneva. 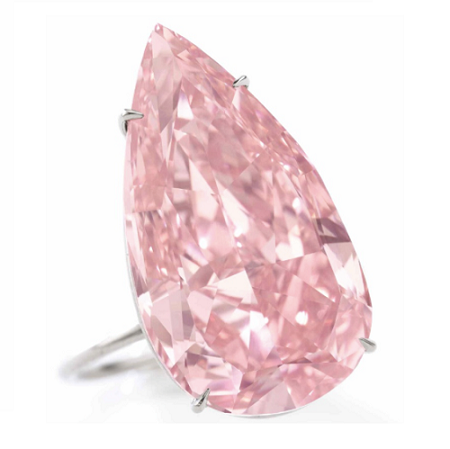 The per carat price is almost double that of the Pink Star at $1.2 million. 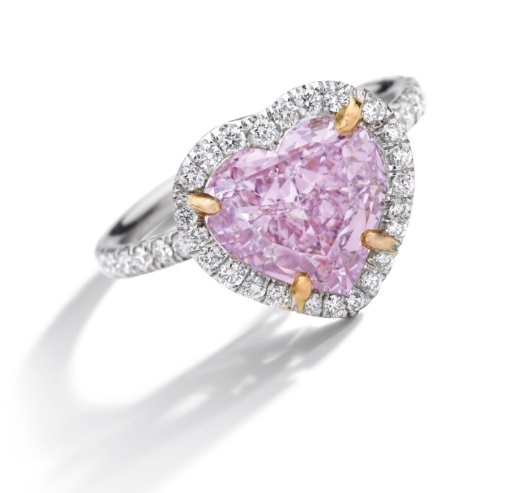 Another pink diamond record was broken by the 3.30 carat Fancy Intense Purple-Pink heart shaped diamond, when it was sold for a total of $2.561 million or $776k per carat. The previous record holder in the 3-5 carat size category of pink diamonds was held by the 3.11 carat pink diamond which sold on May 29, 2012 for $657k per carat. 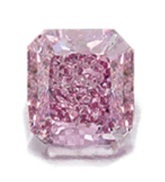 The 3.74 carat Fancy Vivid Purplish Pink Diamond which was estimated at $1.25 to $1.93 million total ended up selling for $2.33 million total, or $623k per carat. This comes out to a 20% premium above the auction house’s high estimate. Clearly, the market is looking for top quality fancy color diamonds and is willing to pay the price. Does it mean that they are over paying? That depends from what perspective we are looking at it. Prices paid may be higher than market these days. Going forward, these prices may look conservative in just a few more years, when supply will further dry up while demand will continue to rise. Got any comments about the final sale of the Pink Star? Tell us in the comments! Is Chow Tai Fook Planning Something For The Global Fancy Color Diamond Sector?